Today, as we held our Winston close, our hearts were heavy with the memory of Stuart’s passing. Love you little Stu Man. 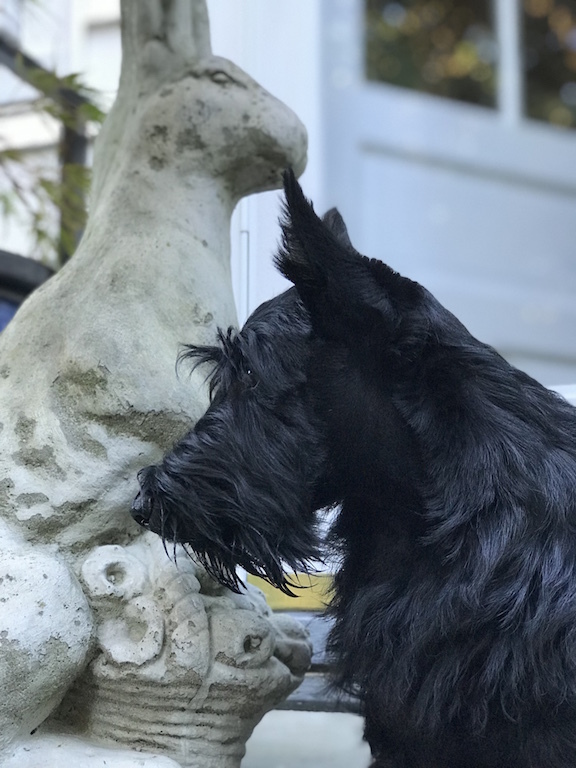 Help us guide Winston to grow into a proud Scot. Bless those who have left us. And let’s remember the happy times. Always. Thank you, my friends, who have accompanied us on this journey from joy to profound grief, to a slow recovery. The happiest of holidays to you. In memory of Stuart, who will surly help guide Winston. It’s been a long two years, but you and Winston have found each other and will have many years of love and great adventures! That’s so true. Thank you very much! Stuart’s circle of life is wrapped around your hearts. Now Winston is drawing his own. The journey is the best part. Thank you for including us. It’s an honor and a privilege to have you along with us. You’re a rock. Life is really all about the love we share and the memories we keep. Stuart will always be with you in spirit. Winston is in your lives to bring you joy and laughter. And that he will do ! The love we share and the memories we keep. I’m smiling at that thought. And those memories! Thanks for being along on our ride! Winston certainly makes Stuart’s passing less of an ordeal. Kali and Kaci do that for us-Kyla left us three years from next Tuesday..
Three years. It’s so hard to believe. The world keep spinning around. No matter what happens. There’s a constant comfort in that, but it doesn’t make it go away. Here’s to Kyla! Those pups are having a BIG TIME. Thank you, friends. we felt the same as this day came the first time this year…. but even with having Phenny, there are still too much tears and too much sad days…sigh…. Your sadness is understandable. We grieve for you. And your precious family. Phenny helps, to be sure. Easy is making sure of that! While one person can never replace another, neither can one dog replace another. What they can do is heal our broken hearts with a new joy and purpose and guide us on a new journey to living again. We honor the memory of Stuart and share in your new happiness with Winston. Wonderfully said. Thank you for the honor. Just as we honor you and yours. ArrOOO. Stuart lives on in your hearts as well as ours. Thanks to you and all of yours for your caring and help. Oh, thank you my special, extra special Porcine Pal. Puppy love is the best medicine for a broken heart. We never forget the happy times or our best friends furry or otherwise. You’re right. Happy times. All the way around. Two years. Wow. I can’t believe it’s been so long. We lost our Jacque almost 3 weeks ago. We miss him every day. NOOOOOOOO! No. No. NOOOOOOOO! The words won’t work to say how sad I am for you. It doesn’t help now, but it’ll get better. Focus on the happy. So sorry. Believe me when I say that you are not the only ones who mourn Stuart. How special to us. This is so meaningful. Thank you. It’s hard to believe that it’s been two years already! It’s been one year since Bonny Rose passed and I still miss her. I know wee Winston brings you smiles as Archie does for me. We will always fondly remember sweet Stuart.